You’ve made the final decision to add a deck to your home. You and the spouse are excited. The kids are dreaming of all the ways they can use the deck to hang out with their friends. You’re focused on the value it’s going to add to your home, an asset you’ve invested in for the last six years. Now, you’re about to start looking for design ideas, contact contractors, and make an attempt to get some estimates on what your deck build will cost. Like thousands of other homeowners in Fort Collins, you do your due diligence. 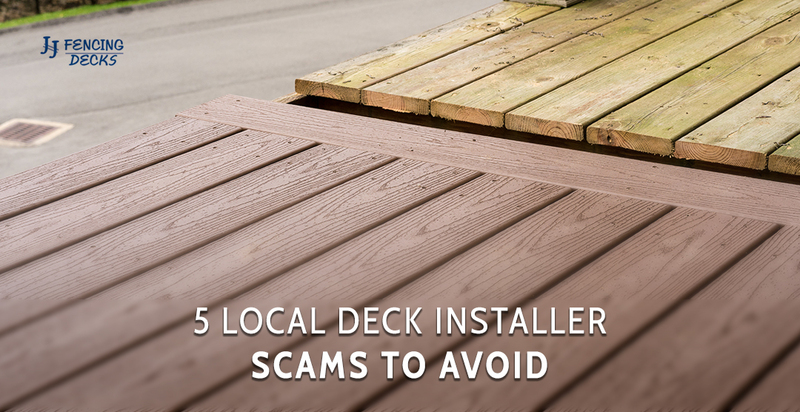 However, JJ Fencing & Decks wants to share local deck installer scams to avoid. One of the oldest scams in the book is to ask for the total project budget up front or requesting a 50 percent deposit to get started. In reality, a 10 or 15 percent deposit to hold our spot on the contractor’s schedule is industry standard. If a contractor asks for all the money up front, triple check their reputation and references before you buy into them. Another way contractors can get away with stealing your money and time is to convince you that their promise is enough. Yes, the great local deck installers will deliver on their promise; however, those same installers also realize that paperwork protects them and you simultaneously. When a contractor promises that they’ll get it done, get it on paper. Some contractors will take the risk and build on your property without pulling a much-needed permit. If your deck needs a permit, there are only two ways the project will turn out. You will either need to beg the county to allow the deck to stand and they work through the permit process with you, or you will need to tear the deck down and start over, following the proper steps. Either way, the contractor gets paid, and you end up with a huge headache. A contractor that makes major changes to your project before consulting with you is scamming you. No matter the severity, all major changes need to be brought to you. For example, your deck build needs additional support to be completed. Your contractor needs to bring this to your attention before starting the process of adding support. What’s more, a contractor that brings you a bill due to unforeseen changes without consulting you first is scamming you out of money. Granted, most contractors have materials lying around their yard or home. It’s the nature of the business. However, do not purchase “extra” materials sight unseen. Request that the contractor allows you to see the material before you purchase it. Also, request that if you are to buy the material that you pay for it once it is delivered to your project site. This protects you and keeps your contractor honest. And don’t forget legal paperwork to track the transaction. Ready to install a deck? 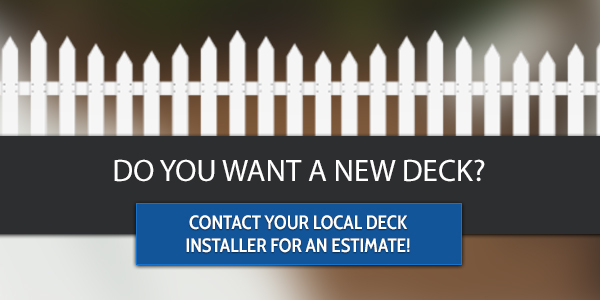 Call your honest, local deck installers serving Fort Collins at JJ Fencing & Decks now!